Détendez-vous au bord de votre piscine et admirez en même temps la vue sur le lac avec les hérons !!! Très bien situé à seulement quelques kilomètres de plages magnifiques, d'excellents restaurants et des magasins, à 15 minutes du centre-ville de Sarasota, à 20 minutes à Longboat Key. Pour les amoureux de la nature, il ya aussi beaucoup de parcs et réserves naturels autour. En bref, ceci est l'endroit à être pour des vacances inoubliables! This was the second time we have stayed in this home. For this trip, we stayed almost seven weeks. It is super convenient, close to all amenities yet enough off the beaten path to be quiet and peaceful. It is four bedrooms. We never needed more than 3. During the weeks we were there the pool was too cold to use except for the last week. Just be mindful it is not heated. This home is clean and large enough to comfortably sleep eight..
Laurent is a wonderful host, always prompt and polite with his replies. 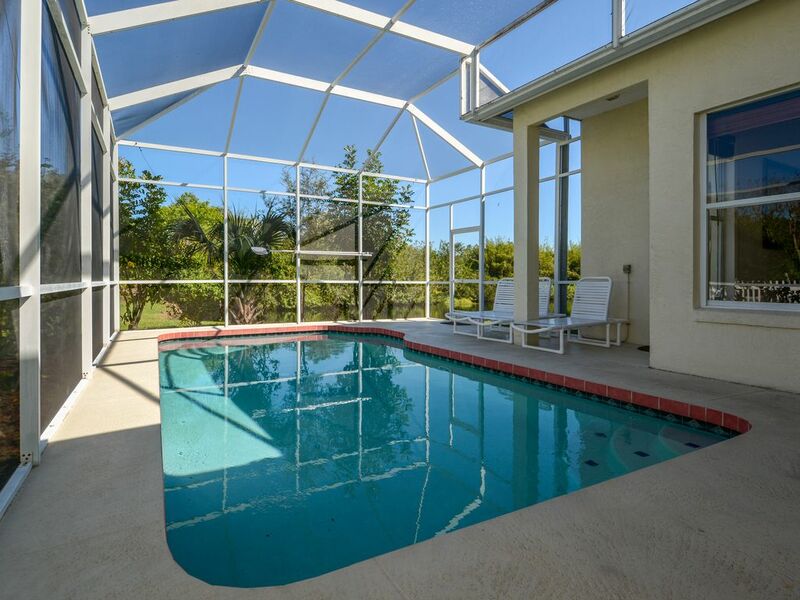 Comfortable 4 bedroom home with pool and lanai. Quiet neighborhood, safe. Comfortable home with all furnishings and utensils required for long term stay, a month, in our case. The house is more a Chevy than BMW, but perfect for the two of us with rare company. Our dogs were happy keeping track of all walking by the house. Spent many hours sitting by pool. The turtles put on a daily showing sunning themselves by the pond which is part of the Braden River nearby. We would stay here again. Our family really enjoyed spending a week over Christmas in Laurent's home in Bradenton. The pictures and descriptions are very accurate. We were especially pleased about the well-stocked kitchen - we were able to make several fairly elaborate meals and we had almost all the equipment we needed! The layout of the house is very nice for a group - everyone can get some space and quiet when needed. My husband has mobility difficulties, and he found it very easy to manage here with only one step to enter, and a walk-in shower. Laurent is a gracious host who responded instantly to questions and requests. We would not hesitate to rent this property again in the future. Nice place, clean and easy access to all major attractions. Good communication and nice to qork with!